Fashion meets function in the Big-O Key Ring now in faux vegan leather. The large 4" diameter means the Big O can fit on the wrist as well as above the elbow for a truly hands free experience. The Big O clasp allows for quick removal at the valet or when letting someone borrow you keys and the design makes sure no nails are broken in the process. 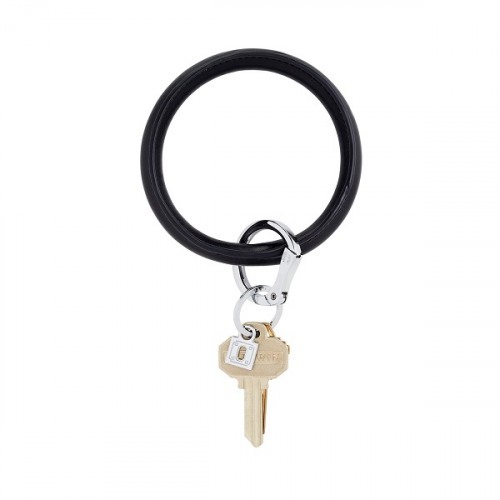 Please note that vegan leather does not have the durability of genuine leather Big O Key Rings.